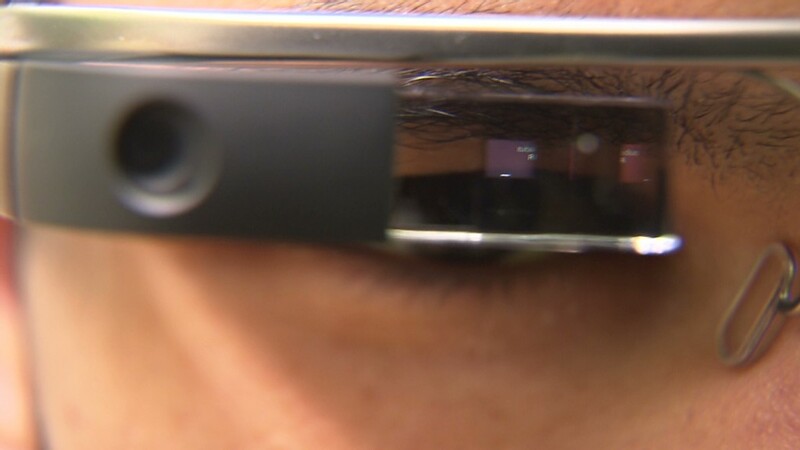 Google Glass isn't a finished idea, let alone a complete product. Today, it's an expensive, limited, and clunky piece of technology. You couldn't even buy one if you wanted to (which you wouldn't) -- Google (GOOG) is only selling 2,000 pairs to select techies who attended the company's I/O developer's conference held a year ago. So what's the big deal? It feels like the future. Google Glass uses a miniature projector, touch controls and voice commands that sit on your eyes and ears like glasses. That setup allows Glass wearers to interact and engage with information and the world around them without having to pull out a phone. Right now, there are a handful of core actions you can perform with Google Glass: basic searches, capture photos and video, follow turn-by-turn GPS directions, receive news and notifications from services like The New York Times and Google Now, and communicate with friends via voice, text, email and social network Google+. I could go in depth about all the features, but the truth is they are likely to change before Glass reaches the general public. The display is much more usable than I ever thought it would be. Battery life seems fine now, lasting four to seven hours. Google Glass is surprisingly comfortable, but it did hurt my ears after a few hours of continuous wear. Image quality from the camera was fine, but nothing special, and it's a little weird snapping a photo without looking through a viewfinder or at a screen. Some aspects of the Glass software, such as navigation, are wonderfully intuitive. Others, including setting up contacts for communicating and sharing, are beyond frustrating. And though the hardware elements of Glass all function without issue, the device still leaves me wanting more from it. Related: Will Google hit $1000 or is it the next Apple? So, looking to the future, what does it have the potential to be? It could be a great action camera. It has the basic technology to be a second set of eyes, analyzing your surroundings, delivering relevant information on the fly. It could be an extra screen for gaming, a cookbook you never have to touch, or an aid for musicians. The possibilities are almost endless, but they still need to be created. It's an experiment -- and Google knows this, which is why the company is currently only letting creative software developers have access to it. The problem with Glass as it currently exists is that it isn't a "lifestyle device" that most people will feel comfortable affixing to their foreheads anytime soon. Even if it someday is light as a feather and has infinite battery life, it still will feel unnatural to wear Glass in social situations. Google Glass reminds me of the first IBM (IBM) PC, released in 1981. That thing was essentially Microsoft (MSFT) Office in a very expensive, ugly box. When the PC was first introduced, no one could have imagined that we'd be carrying around devices many times more powerful in our pockets. Now, computers, tablets and smartphones are in every home -- and many are beautiful, sleek, ultra-thin pieces of machinery. Most people today can't imagine a day when we'll all be wearing smart devices on our faces. If Glass reaches its potential, that's exactly what will happen.